This may be a Laundry Room tour, but don’t miss out on an opportunity to see inspiration here for any space in your home. 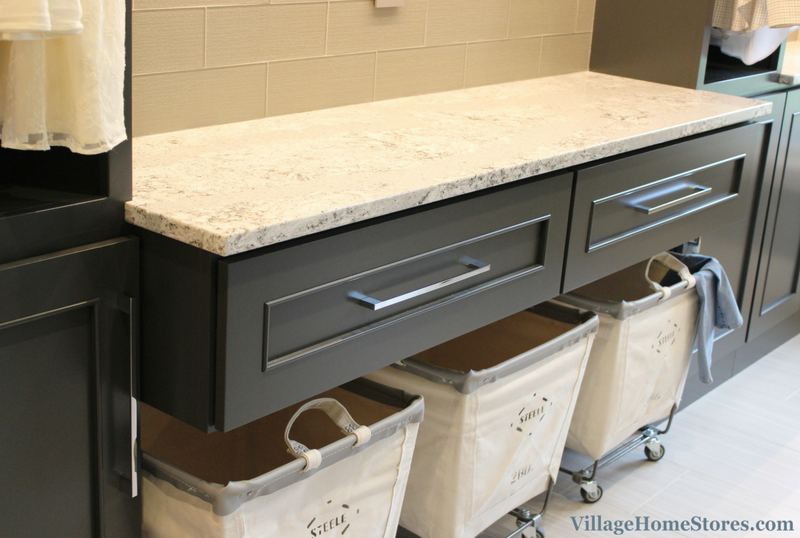 Every design detail and material selection showcased in this tour translates perfectly into an option for your own kitchen or bath project with Village Home Stores. As we show you around this incredible new spacious multi-purpose room, take note of what grabs your eye. Pardon the unavoidable play on words but there is “loads” of inspiration in this space! Press play below to watch a video tour of this finished space on a recent episode of the Village Home Show. The Fresh Hold® option keeps clean clothes smelling fresh in the washer with an internal fan and tumbling feature that circulates air through clothes for up to 12 hours after the wash cycle ends. An internal heater provides steam and sanitize cycles. Use steam settings on tough stains and remove 99.9% of household bacteria with the high-heat sanitize cycle. Steam settings on the Dryer help to relax and prevent stubborn wrinkles , refresh clothes and reduce static. 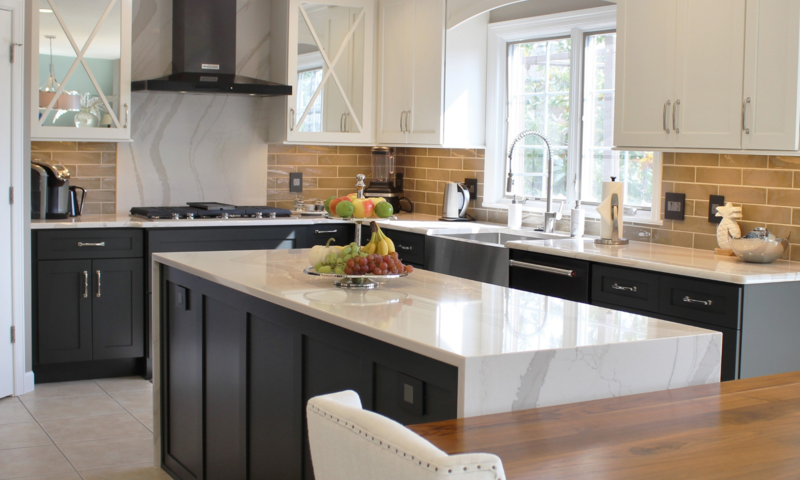 The “Summerhill” Cambria quartz design is the perfect compliment to each of the painted cabinet finishes. A standard “Eased” edge is used with no quartz backsplash installed. The sink wall of cabinetry includes a large single bowl undermount sink from Elkay. 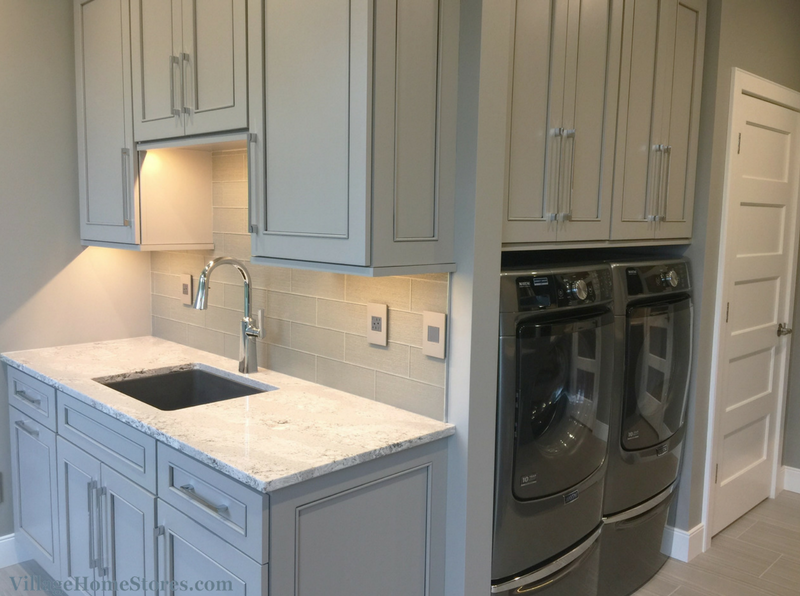 Elkay’s “Dusk Gray” finish mimics the accent glaze of the cabinets as well as the laundry pair and “Graphite” painted cabinets across the room. While a stainless steel or warm brushed nickel finish would look right at home in this space, polished chrome is a bright and stylish choice. 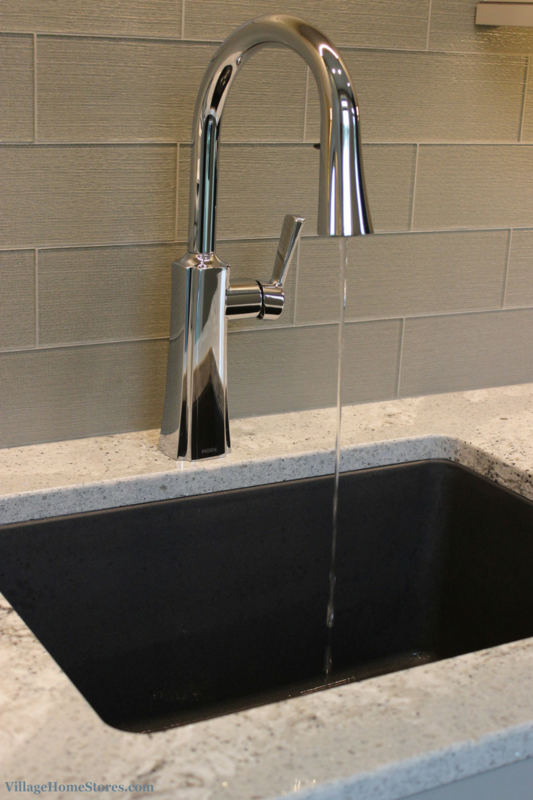 The countertops and textured glass tiles are illuminated by our Diode LED lighting system. We love the little reminder system this homeowner has started using with her Diode lighting. If there is laundry running that will need to be changed over to the dryer, all the lights are turned off but the undercabinet lighting remains on. Since these lights are low-voltage, this system is a cost-effective way to remind her as she walks down the hall that there is laundry to check back on. The sink wall of cabinetry that faces a window is fit with great storage solutions. 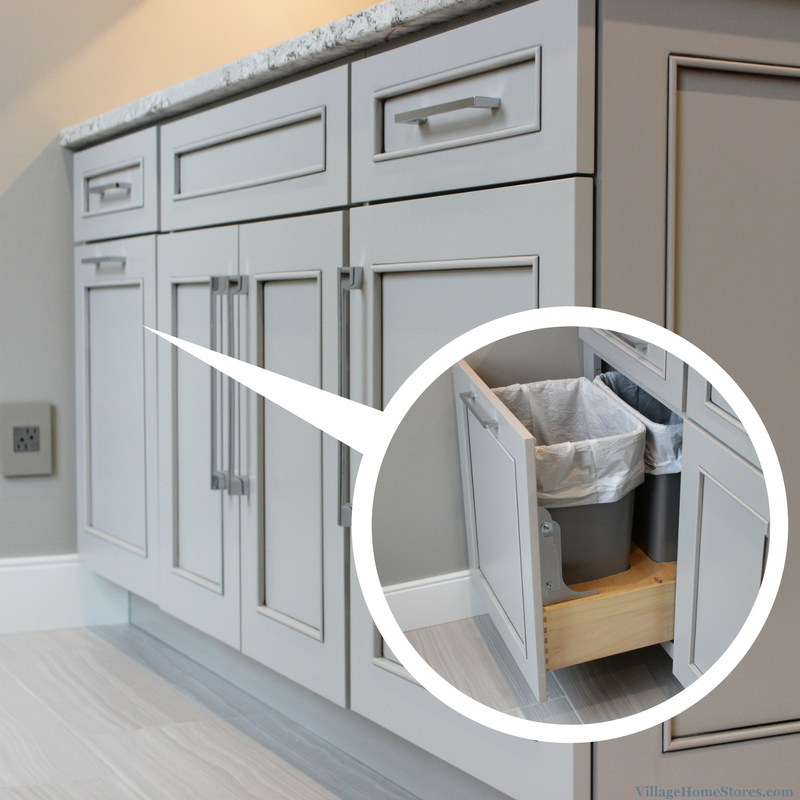 A pull-out double bin waste basket on one end, and sliding shelves on the other. Also concealed within the top drawer of one of these cabinets is an innovative way to store and access your ironing board. Press play below to see this cabinet reveal and unfold to access this fold-away ironing board feature. Stylish and interesting, the Adorne series of switches and outlets has been placed throughout this new Laundry Room. 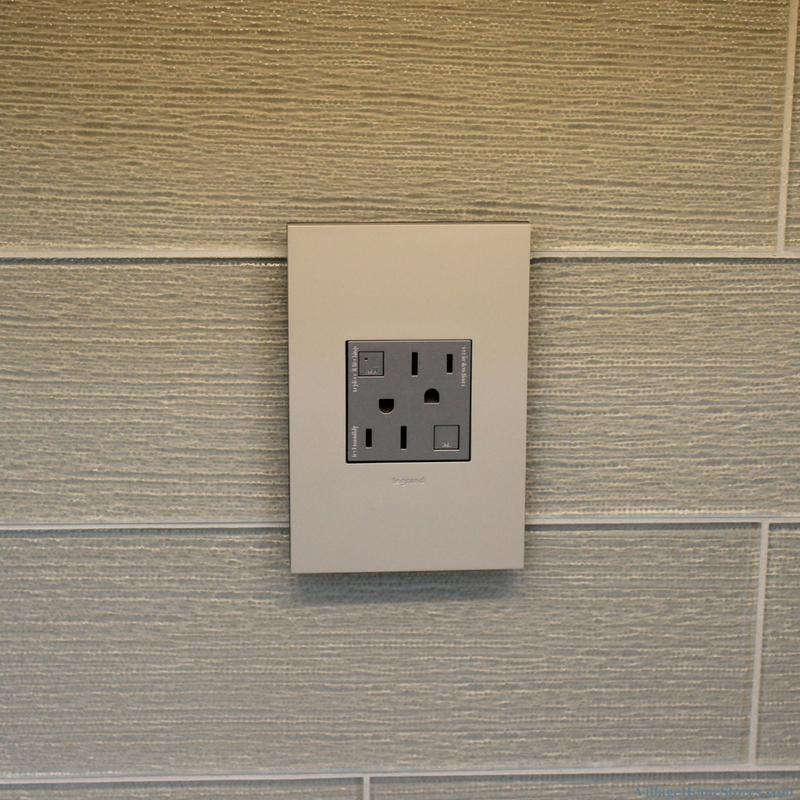 This unique system is available from our legrand line and has customization options that are almost limitless. Read more about the Adorne series here in a past blog post about the Master Bathroom in this very same home. 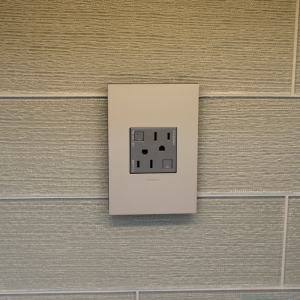 The finish shown in this space is the “Satin Nickel” wall plate. The perfect choice against the American Olean textured glass tiles. These “Elegant Crystal” tiles in the “Sand” finish measure 4″ x 12″ long and add texture and dimension to the space. That same tile is installed on the folding wall of the design. Taking a suggestion from the elongated wall tile shape is a 12″ x 24″ sized tile from our Florstar line on the floors. This series is names “Matrix” and the color is “Azul”. 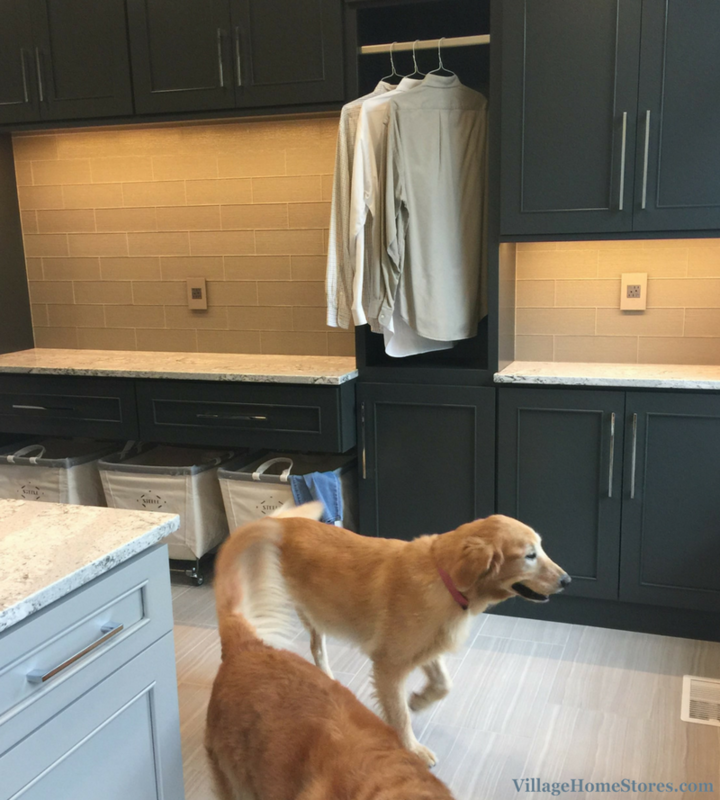 This versatile wall of cabinetry now includes hanging storage, cabinet storage, and a floating drawer area in the center for folding and sorting laundry. Below this counter is space for three rolling laundry carts that can be easily moved from here to the laundry units across the room. 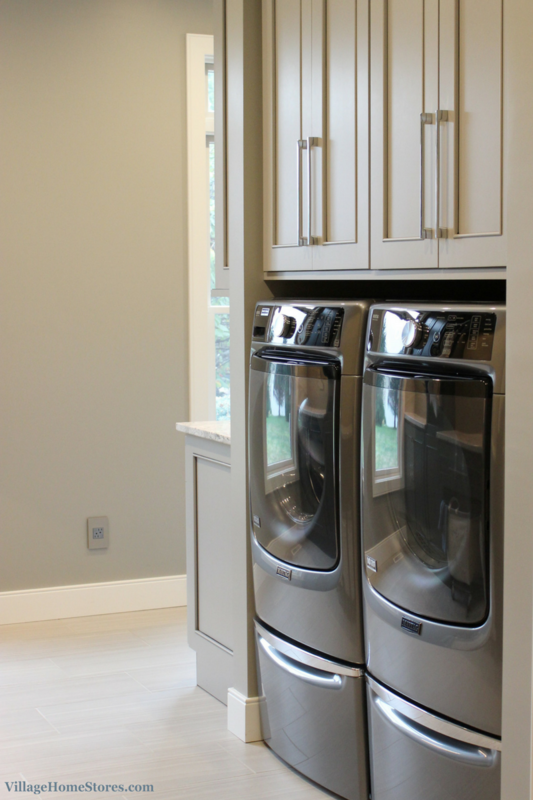 See the entire album of photos from this stylish Laundry Room remodel over on our award-winning Houzz.com page. 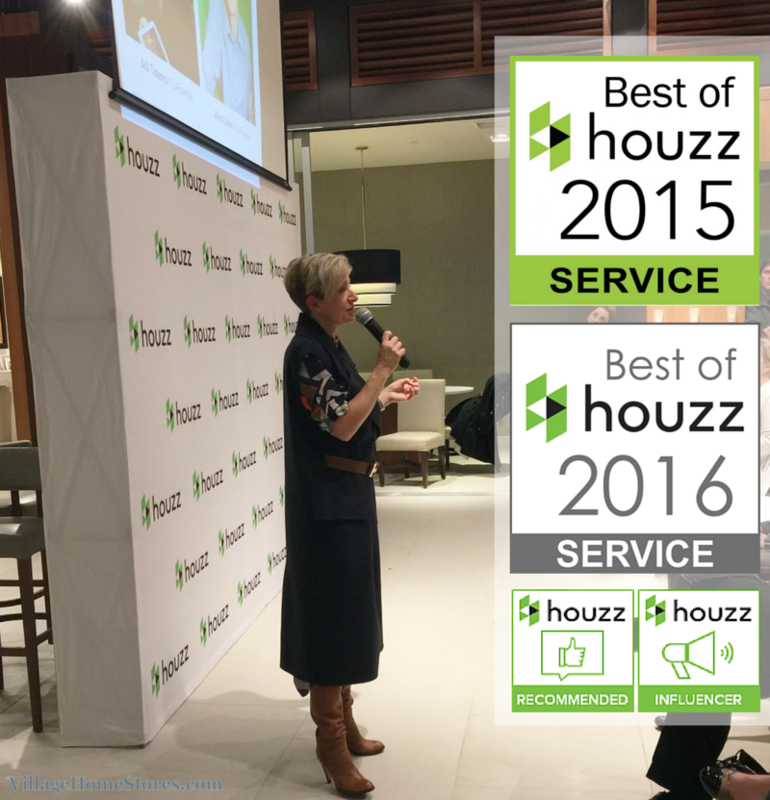 We are winners of Best of Houzz many years in a row and have been awarded the title of “Houzz Influencer” by this rapidly-growing platform. Click here to see the entire finished space and save the images to your own project ideabooks. This room was not originally the Laundry Room for the home. Do you have a project that may require someone to help you space-plan you existing home into a better functioning space for your lifestyle? Our expert design team can help! We can provide you with a design and material selection. From there you can do the work yourself or we can arrange to coordinate everything for you. Contact us today to start the conversation. 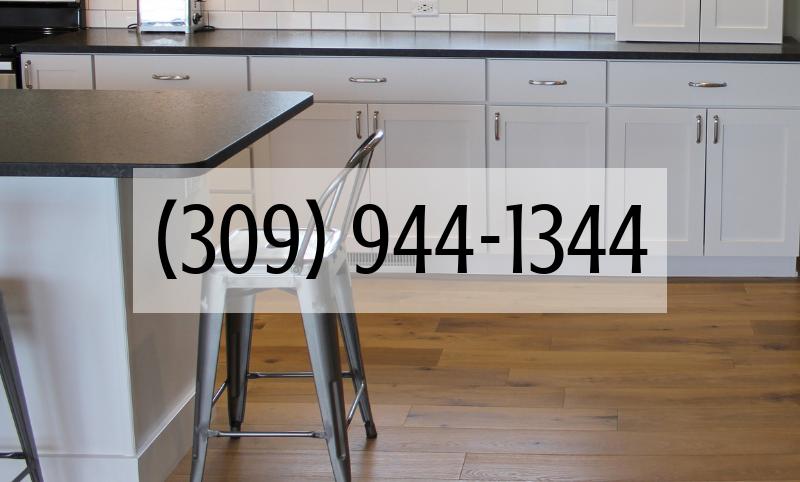 Call (309) 944-1344 or complete this short online form and someone from our staff with reach out to you. We can’t wait to hear what you are working on! At Village Home Stores we take customer service very seriously. 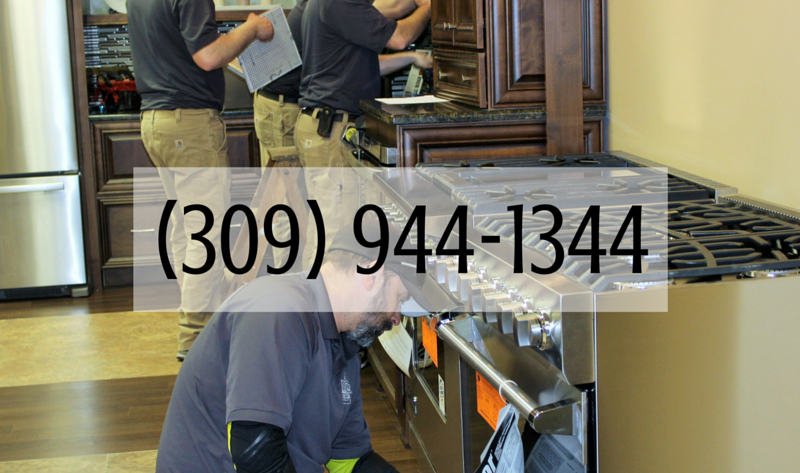 Since 1984 we have been providing expert service and quality products to our community. We are in the business of creating life-long customers. That can only happen when we put our customers and community first. 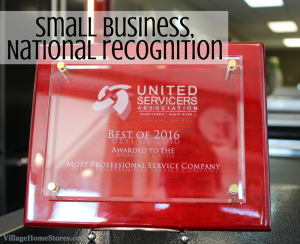 Our “small business” was so thrilled recently to receive National recognition for our Appliance Service department. The United Servicer’s Association awarded our store as “Most Professional Service Company” in the 1-2 technicians category. Rob Ries, Co-Owner of Village Home Stores heads up our service team that includes service dispatchers and parts administrators Amy Currier (left) and Ruth Miller (right). 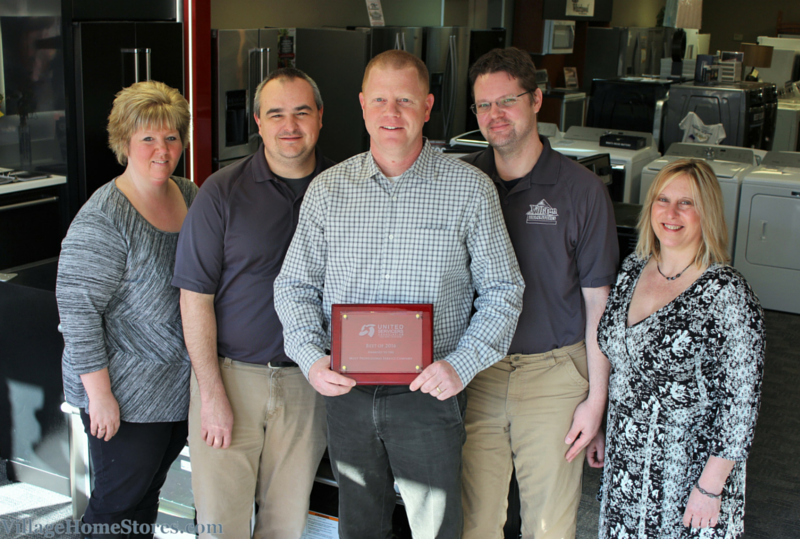 Jeff Gerber (inner left) and John Moore (inner right) are our Expert Appliance Service technicians. Recently we have added a third technician to help provide our customers an even quicker award-winning service experience. We do apologize for the “Humble Brag” but for a small business like us to stand out in such a large community of servicers is exciting. 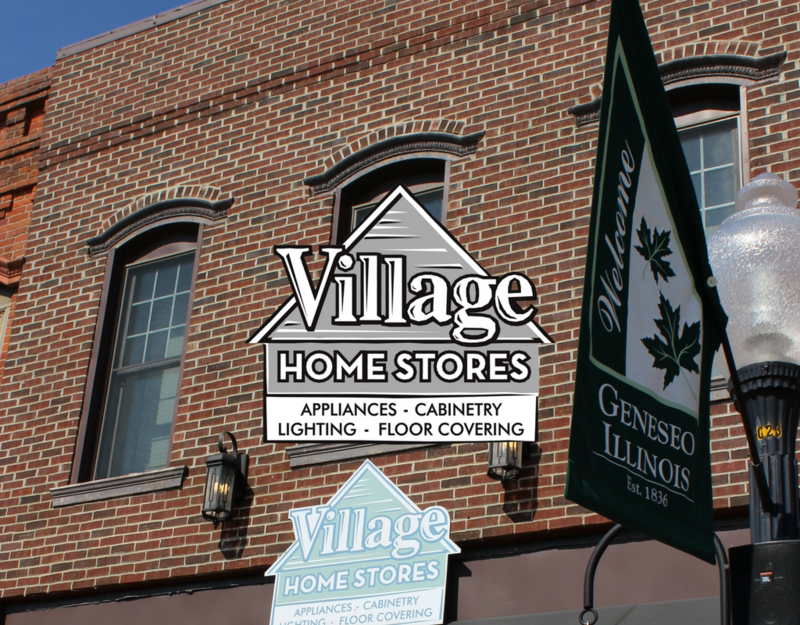 Village Home Stores offers many services and we do so to a large radius of areas surrounding Geneseo, IL. We are proud of our small-town roots and can’t imagine our store being located anywhere else. The semi-finalists for the United Servicer’s Award were selected by a panel of 5 judges and based on the 4 following areas: Technician Uniform; Service Vehicle; Company Logo: and Online Presence in Social Media. Then the finalists were selected by a group of service peers when put to a vote. No successful business should ever stop improving or learning. 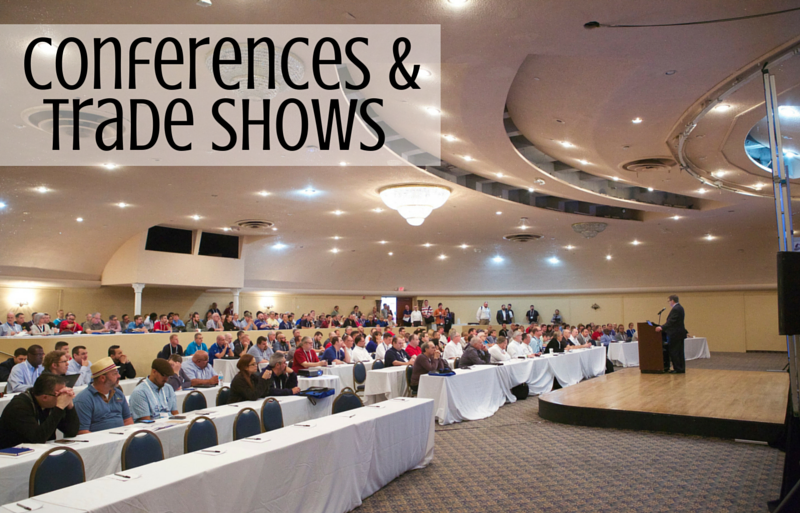 That is why all departments of our store attend industry conferences and trade shows whenever it is possible. Co-Owner of Village Home Stores Rob Ries and Senior Service Technician Jeff Gerber were present at the Annual Service Training Institute in Miami, Florida in February to accept the award. Our staff attends many shows throughout the year. It is important for our customers to have access to anything new and up-and-coming. We also want to be sure that our staff is as knowledgeable as possible on products and trends within the categories of products we carry. 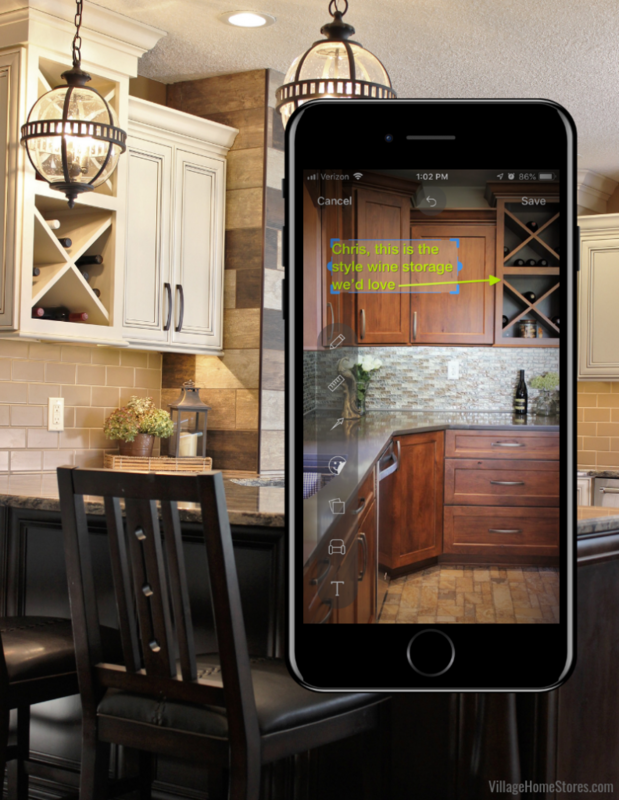 Kitchen and Bath products, Lighting, Floorcovering, and Appliances are all continuously changing areas and we want you to have access to the latest and greatest. 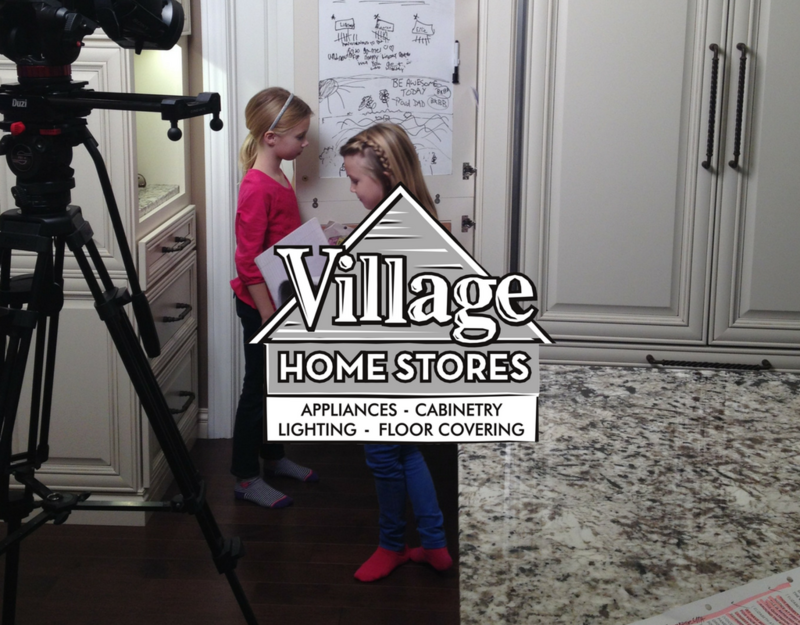 Expert product knowledge is something our customers have come to expect from the Village Home Stores staff. Continuing training for our staff like the Dura Supreme Cabinetry training event shown above, is key to keeping our staff sharp on all that we offer. We have recently transitioned one of our current team members to act as our on-site product trainer within the store. ipads and smart TVs are also now a key part of your buying experience with our store. Embracing current technology and new products and services help keep us at the very forefront of what is happening. 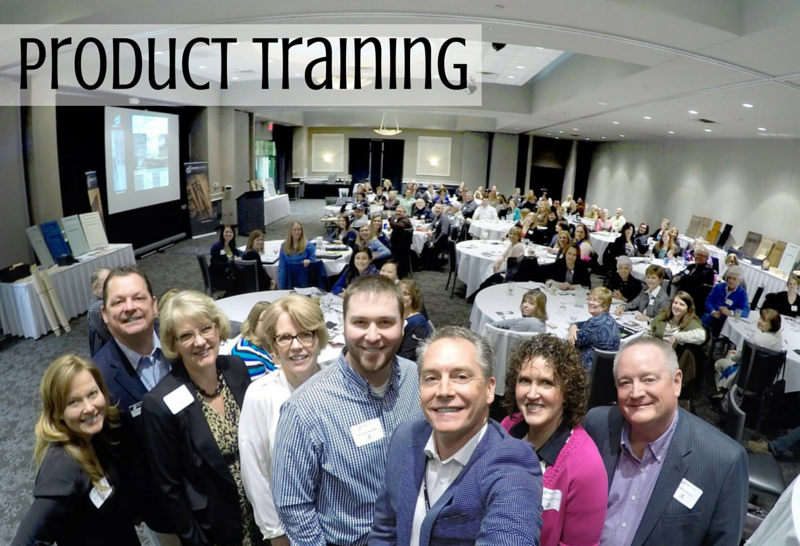 We will never stop striving to be your industry experts. 2015 was a pretty gigantic year for our store and 2016 is shaping up to be even better! We have already been awarded with the Best of Houzz in Customer Service for the second year in a row! 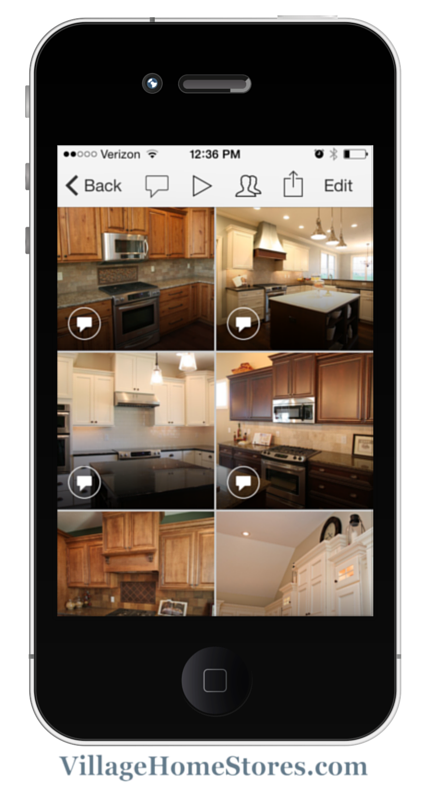 Houzz.com hosts the largest residential design database in the world. Co-Owner Jim Ries (shown above with sign) was recently recognized as an early-adopter of this platform. 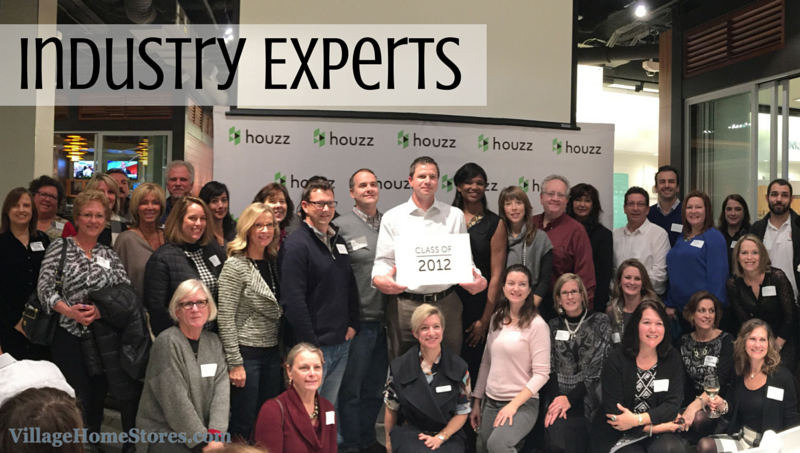 Houzz has become an incredible tool for our staff as they work closely with customers to create and collaborate on a finished design for their own dream space. We have chosen to use our professional profile on Houzz.com to showcase our portfolio of work and a place for our customers and colleagues to review us. But that’s not all! 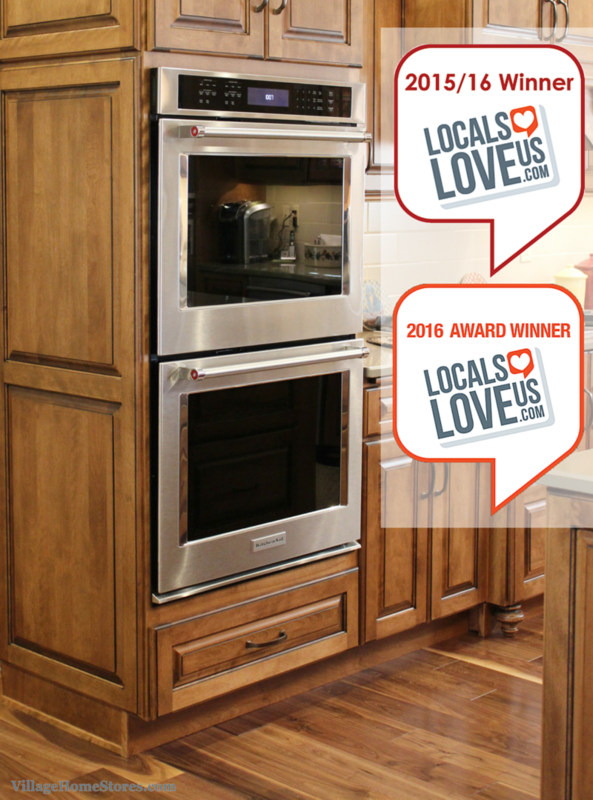 We were also awarded with another Quad Cities Locals Love Us award in the Custom Cabinetry category for the second year in a row. We work hard to provide an exceptional customer experience for our customers and truly appreciate this award in particular because it is based on customer voting. Thank you to anyone who was one of those voters. 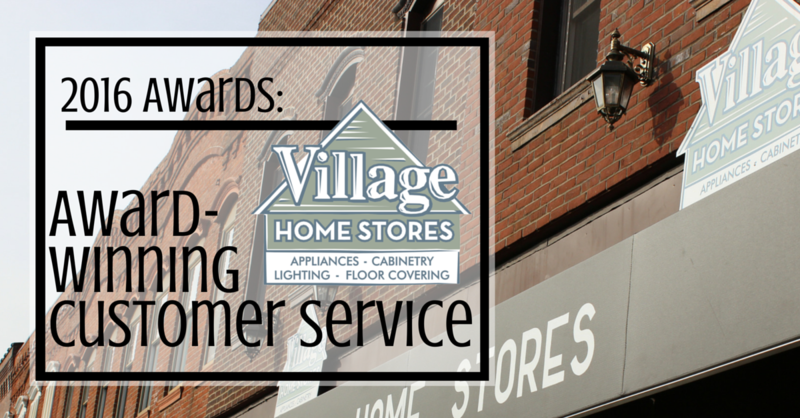 Now that your customer experience at Village Home Stores falls into the new category of “Award-Winning”, we are taking customer service even more seriously moving into 2016. If you have become one of our customers in the past 32 years we thank you so much! When you call for a service appointment, or purchase a light fixture from our store we want to count on seeing you again the next time you need anything we provide. 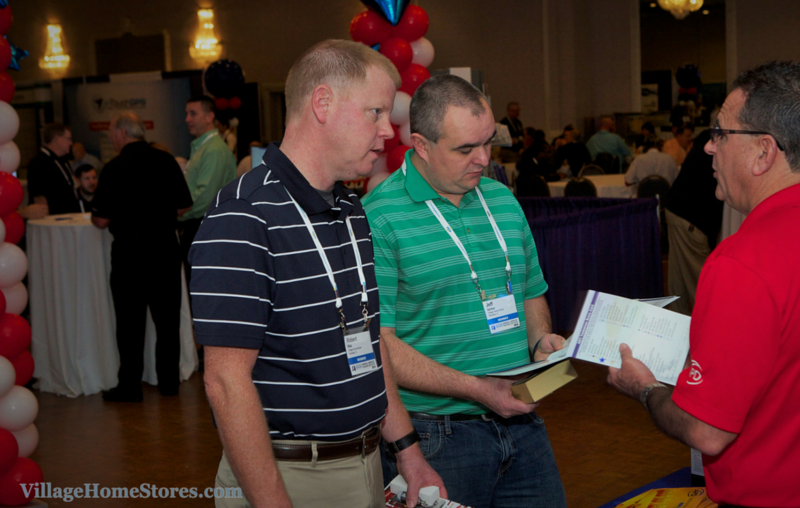 We consider our customers as the main ingredient in our store’s community. Stop in anytime just to say “hello” to see what we are working on and what is new! Schedule your appointment for a project at (309) 944-1344 or online anytime at VillageHomeStores.com. First and foremost a gigantic THANK YOU to our customers and contractors who helped us to be considered in the Best Of Houzz 2015 award process. We are so excited and grateful to announce that our store received an award in Customer Service from Houzz.com. Houzz.com has become a wonderful tool for our customers and contractors to use during their project with us. Last year we became more active on the site to give access to our project photos to the 25 million monthly users the site sees. Many of the projects featured right here on our blog have been uploaded as complete projects to our Houzz.com portfolio. Find our Houzz professional profile here. 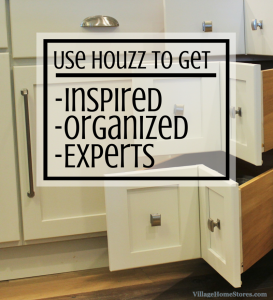 If you are unfamiliar with Houzz.com and what it is we want to give you a brief how-to in this blog post. The site itself also runs as a very user-friendly app on tablets and even smart phones. 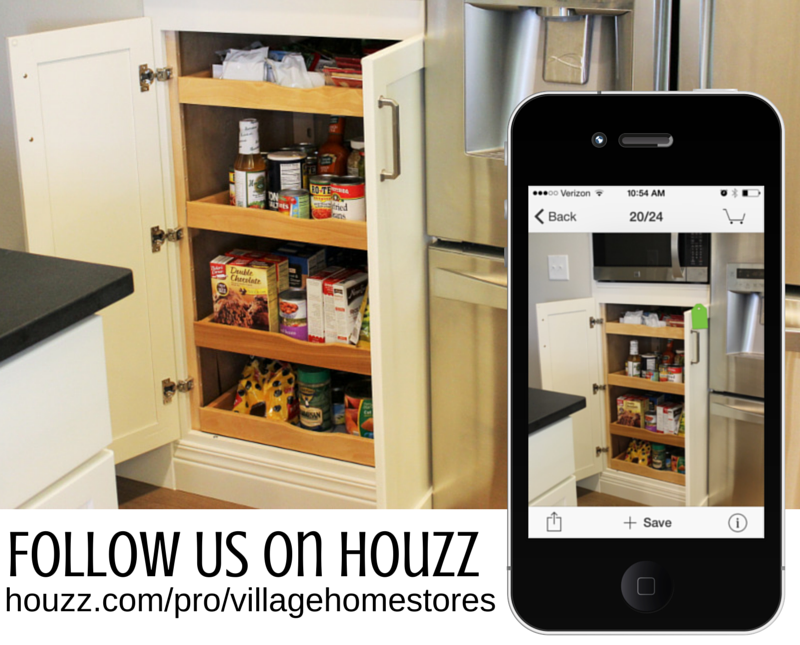 Many of our clients use the Houzz app on their tablet while right here in our store. 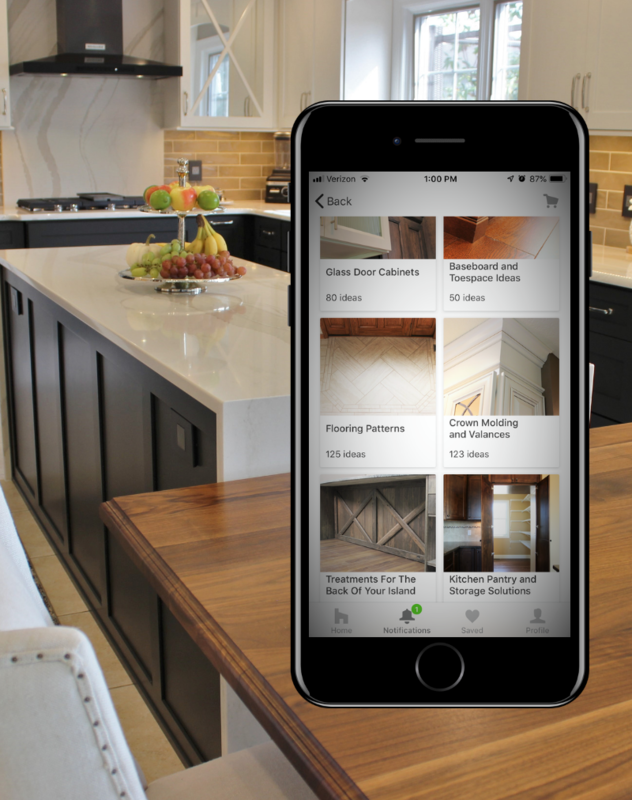 Houzz is available to help you collect ideas and inspiration for your remodel or new home project. What sets this site apart from others is that you must be a professional to upload content to the site. Not only is the content itself monitored for quality, all reviews submitted to the site go through an extensive process before being posted. 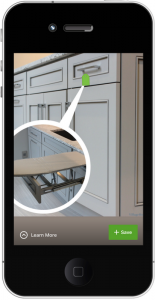 Using Houzz is very simple. You create an account using your email address. From there you will create “ideabooks” that you will save your project ideas into. Think of these ideabooks as the file folders you would keep your images within. If you were building a home, having multiple ideabooks to keep areas of the project organized can be a fantastic tool. These ideabooks can also be made private. 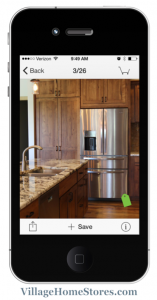 For example, you and your spouse or partner can share your houzz ideabooks with your designer at Village Home Stores and make notes within the app. This allows you a visual way to collaborate on ideas. Our “Hoods” idea book is shown on the left. We often use this ideabook in meetings to help get an idea of what look the client is looking for in their design. 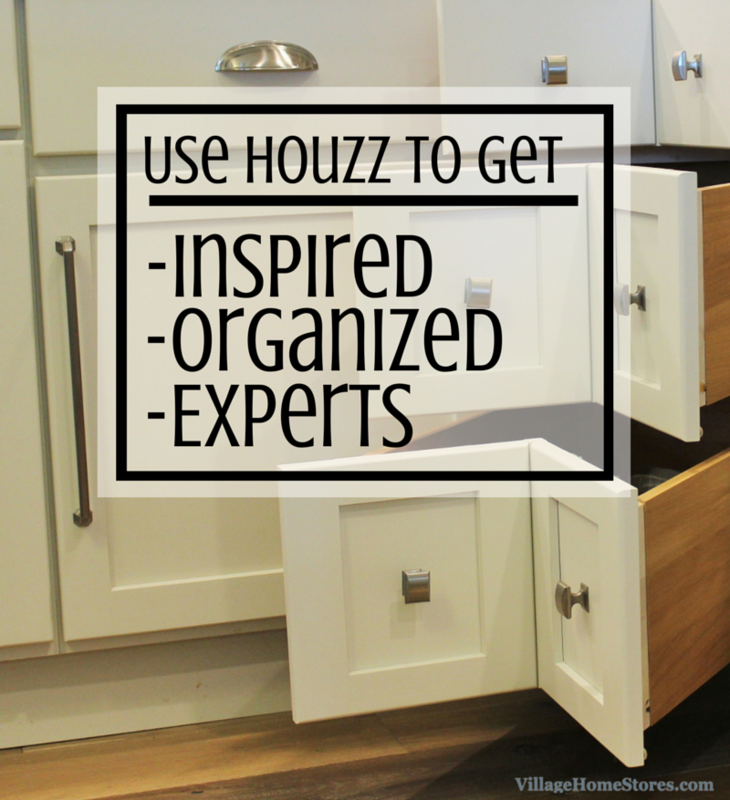 Houzz has a step-by-step tutorial about creating ideabooks that can be found here. Each professional profile requires upkeep and accessibility. We monitor our profile closely for any questions and interaction we get from our content. We receive around 2-5 questions about our project photos weekly and are able to provide expert answers to the users on the site. 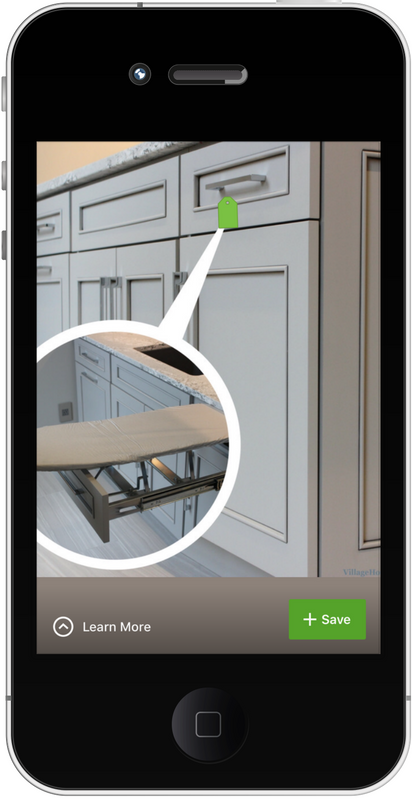 Many of the questions you may have about an image you find on Houzz can be answered within “tags” on the image. 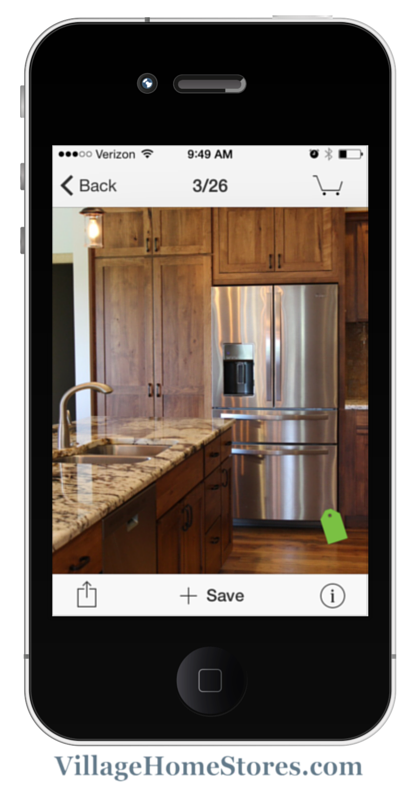 Image tags on Houzz can be added by users and professionals both publicly and privately. These tags are another great tool to use an collaborate with your professional. These green price tag icons are click-able notes within the image. They may include product information or notes from your designer as to why the image was saved and sent to you. If you find you have a question that isn’t answered within the image description or a tag you may always contact the professional who uploaded the image. We do love Pinterest but sometimes content on that site can lead to a “dead end” and your questions remain unanswered. On Houzz you have direct access to the professional who provided that content via email. In fact think of Houzz as a professional directory for your project. Houzz is the largest residential design database in the world and it is and easy way for people to find inspiration, organize their ideas, get advice, and hire the professionals they need to help turn their ideas into reality. 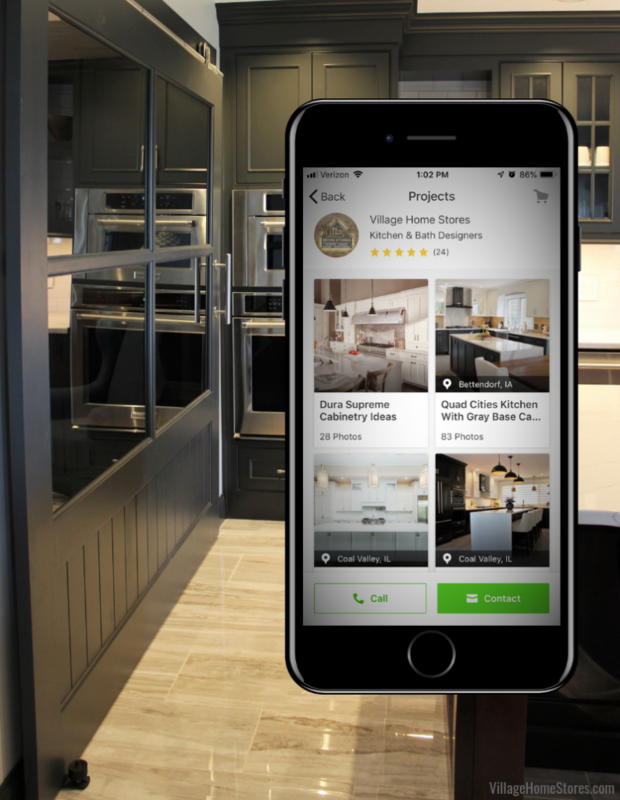 Houzz offers a wonderful service to their users that connects a professional directory with project images and customer reviews. Thanks again to all of our clients and colleagues who reviewed and used our profile in 2014 and led to this Best of 2015 Customer Service award! 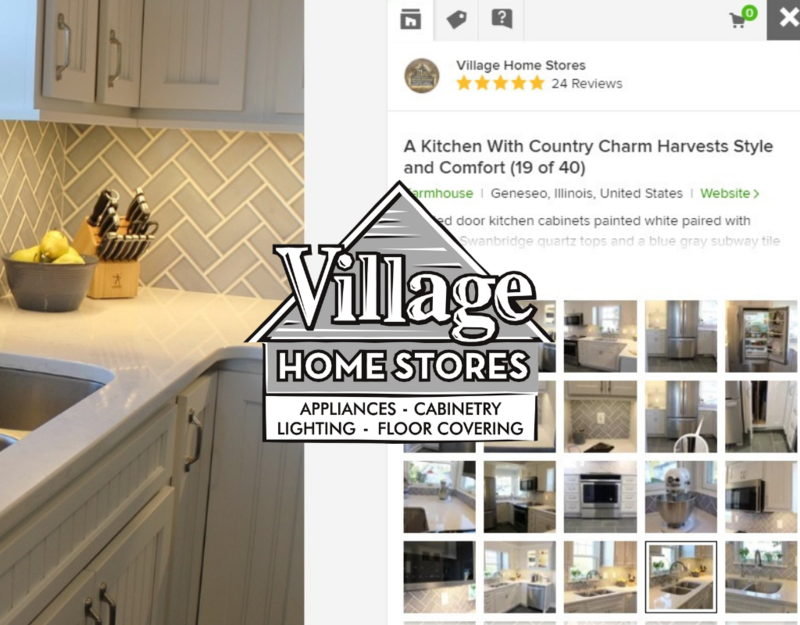 Before looking ahead at what amazing things 2015 has in store for Village Home Stores, we wanted to take a look back at our year online with you. Your response has been so fantastic to all of our content and we thank you so much for joining in with us! With 30 years of business behind us and many more ahead of us, we have been so happy to start sharing with you some of the work that we are doing. Turns out you love seeing beautiful spaces just as much as we love creating them! So what have you been most interested in? Finishes and function! We have had great feedback on the many combinations of finishes we can arrange for your project. With all of the categories or products and finishes available it can be overwhelming when you begin a project. 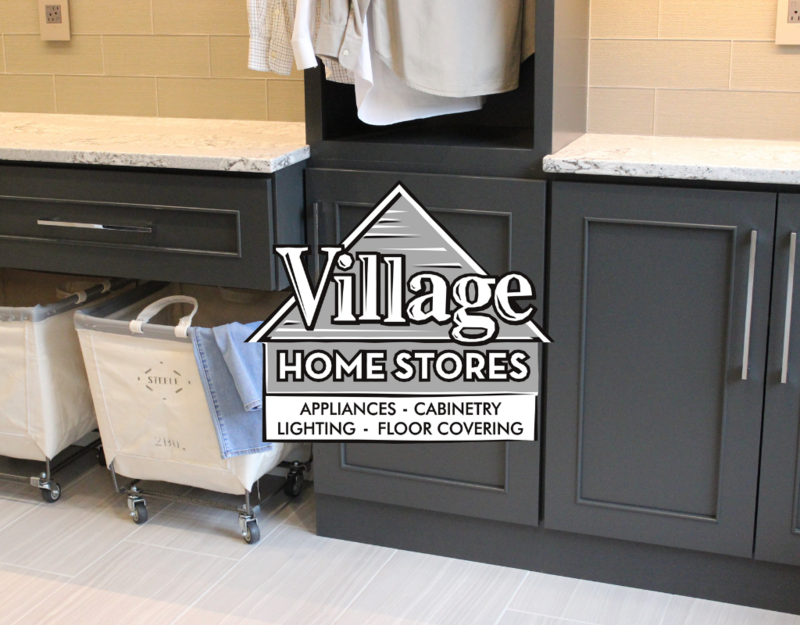 At Village Home Stores we realize that taking on a project like a remodel or building a new home, there is a lot to select. That is why during your project you will gain an entire team of staff here at Village to help you make those selections. Seeing combinations we have already completed can help us help you decide your own tastes and needs. See our entire Pinterest board of completed looks here. We will be adding to it almost weekly throughout 2015. Selecting finishes for your project is not the only thing that grabbed your attention in 2014. You made it clear to us you are also interested making your design as functional as possible. Kitchens need to look beautiful but they also must function as best as they can. All across our social media platforms we have noticed you love having access to see inside some of the cabinets in our designs. This Kitchen Storage Solutions board over on our Pinterest page is a great running collection of some of the amazing cabinets available right now to help you make the most of your kitchen space. 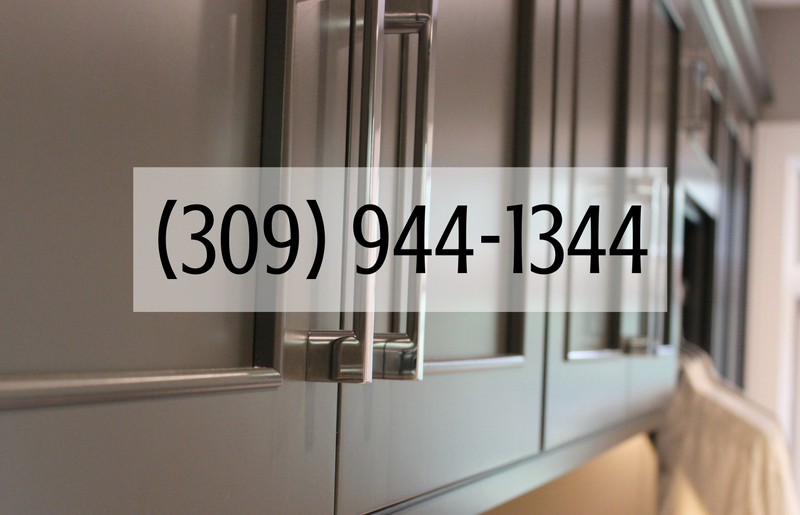 Many of these cabinet storage solutions can be ordered from our standard cabinet lines and a smarter way to use your space is one of the main reasons why our customers choose to remodel their existing kitchens. Pinterest is a wealth of inspiration for your project and if you see an idea on there do share it with us! We would love to help make it happen for your project! Walk-through pantry fronts continue to be a common request from our customers and our Pinterest followers love to see them as well. Our most popular board over on our Pinterest page is one that showcases “Transitional Kitchens“. This pin board has a collective 145 “re-pins” and proves to us that many of our Pinterest followers are drawn to more universal styles instead of full on Traditional or Modern kitchen spaces. Choosing fixtures like your cabinets and tops in a Transitional style is a functional way to use your space and adapt to it over the years as your own tastes change. We also have become very active on the website Houzz.com. If you are planning a remodel or building a home anytime soon we highly recommend starting a profile with Houzz to keep you organized. It is a wonderful tool to collect ideas and share them with your Village designer and/or builder. 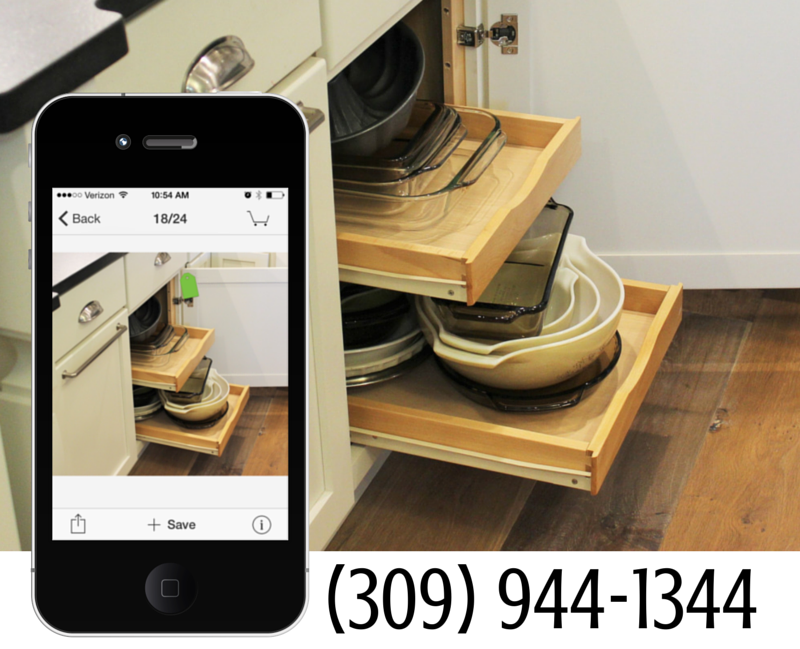 One of our popular images on our Houzz page is this kitchen organizer drop zone cabinet. This image has been added to 170 ideabooks on the site in 2014. It shows a panel-ready refrigerator as well as a kitchen “command center” in a Bettendorf home. We completely understand why anyone working on a kitchen project would want to include this in their design. Keeping kitchen counter piles and messes organized for an active family can be challenging but this unit helps out tremendously! See it in action here over on our YouTube channel. Speaking of YouTube, that is another place you can look forward to seeing more of us in 2015. See our channel here. You can also watch our new Village Home Show on WQAD ! We will also have a website where you can watch current and past episodes, just click here . With the launch of our new television show and all of the new projects we will be starting in 2015 you can follow along a number of ways. If you are on Instagram see behind-the-scenes photos and short videos of featured projects we post there. Follow us at @villagehomestores. Our Facebook page will continue to be a great way to see what we are working on as well. We hope to help inspire you wherever you are online and we can’t wait to see what great things 2015 has in store for us! Is 2015 the year you take on a home project? If so, feel free to reach out to us to get started. Estimates are free and your first appointment can be as detailed or relaxed as you would like.